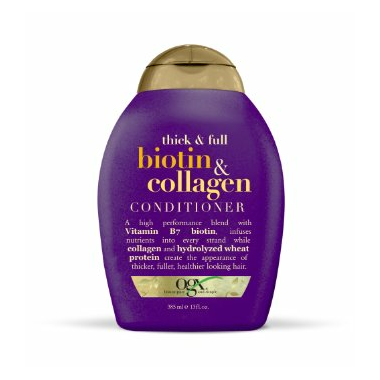 OGX Biotin & Collagen Conditioner features a very high performance blend with Vitamin B7 biotin. It infuses nutrients into every strand while collagen and hydrolyzed wheat protein create the appearance of thicken, fuller, healthier looking hair. Leaves my hair smelling gorgeous and feeling soft. Will continue to use this conditioner!